Through the Oceans Protection Plan, the Government of Canada is working to achieve a world-leading marine safety system that protects Canada’s waters and coasts today and into the future. An important part of this Plan is ensuring the Canadian Coast Guard has the equipment it needs to prevent potential marine pollution incidents. 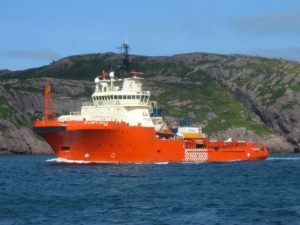 Following an open and competitive process, Atlantic Towing Limited of Saint John, New Brunswick, has been awarded a three-year contract worth $67,013,720 (including taxes) for the lease of two emergency offshore towing vessels that will operate in the waters off the coast of British Columbia. The vessels are capable of towing large commercial ships in distress, such as tankers and container ships, before they get too close to shore. As part of the contract, Atlantic Towing Limited will also provide training in offshore emergency towing to Coast Guard personnel and partners, including Indigenous communities, involved in marine safety. This contract fulfills an immediate operational need to have vessels available as soon as possible, while the Government of Canada works in partnership with Indigenous communities and local stakeholders to develop a long-term strategy for emergency towing on the West Coast and across Canada. The contract is for the provision of vessels for the next three years. The two leased vessels will be operated by Atlantic Towing Limited personnel, along with members of the Canadian Coast Guard, off the coast of British Columbia. One will patrol a northern area in Canadian waters between Alaska and the northern tip of Vancouver Island, and the other a southern area including the west side of Vancouver Island and the Strait of Juan de Fuca. Both vessels will be on-site in late 2018. The two vessels will be tasked by the Canadian Coast Guard and will increase capacity to respond to vessels in distress in the challenging conditions of deeper waters. The vessels will also be available to conduct search and rescue operations and support environmental responses, when required. The Request for Proposal for the lease of these vessels was issued in February 2018 following extensive consultation with industry and stakeholders, including Indigenous communities. All parties were given an opportunity to provide input into the requirements and process. The $1.5-billion Oceans Protection Plan is the largest investment ever made to ensure Canada’s coasts are healthier, safer and better protected. In collaboration with Indigenous peoples, local stakeholders and coastal communities, the Government of Canada is creating a world-leading marine safety system that provides economic opportunities for Canadians today, while protecting our coasts and waterways for generations to come. Thanks for sharing this blog. The blog was very interesting & useful. Got to know more about it. Keep Blogging. I believe this web site has very superb written content blog posts.